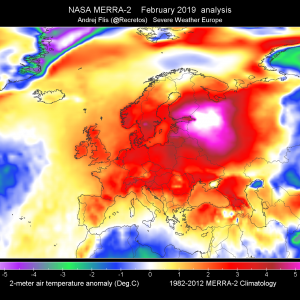 A broad upper trough moving into western Europe while upper ridge spreads across the Mediterranean. 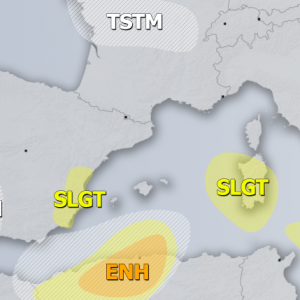 A weakening upper low moves into SE Mediterranean. 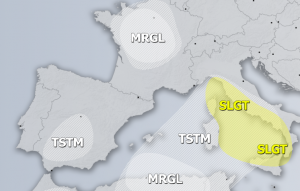 A SLGT risk has been issued for N UK with threat for severe winds, heavy rain and some tornado threat. A SLGT risk has been issued for SW Norway with threat for excessive rainfall. 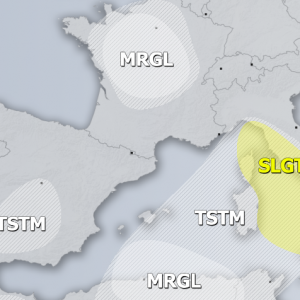 A SLGT has been issued for S Greece and Aegean sea, SW Turkey into SE Mediterranean with threat for heavy rain, waterspouts and some strong winds. 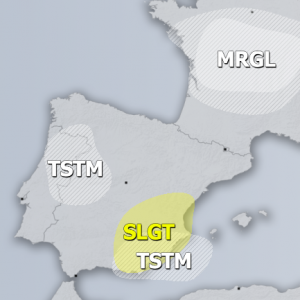 Eastern part of SLGT risk could see some organized severe storms in first 12 hours of Thursday given the still some shear in place.